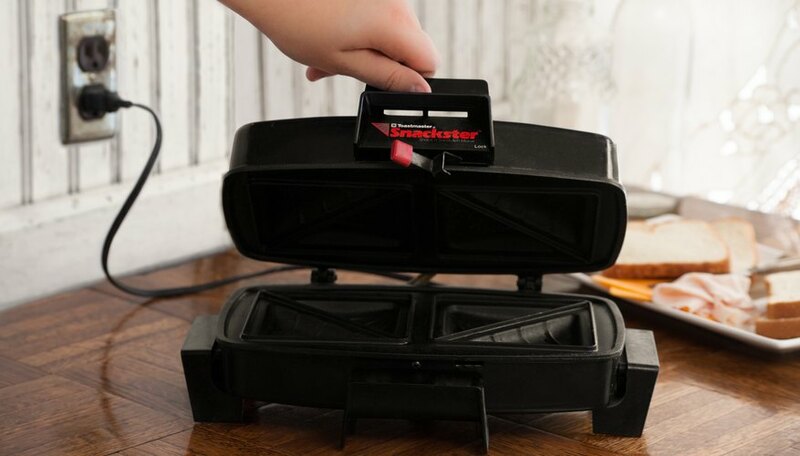 The Toastmaster Snackster is designed to grill sandwiches and other breaded snacks. 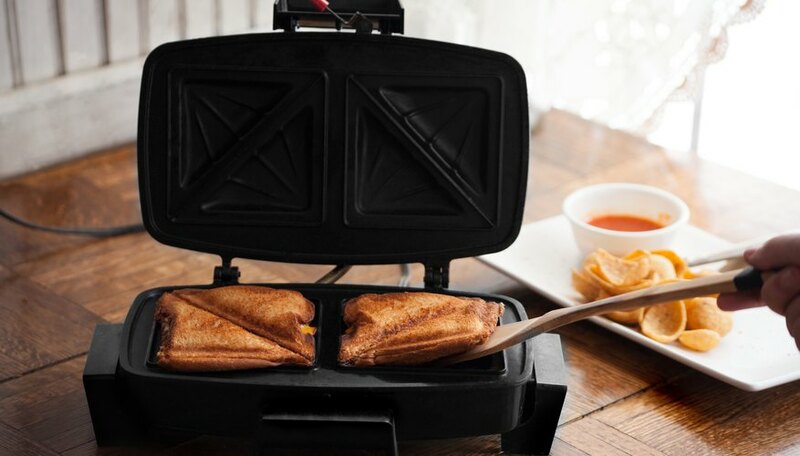 You can grill two sandwiches at a time. The unit both seals and toasts the bread. 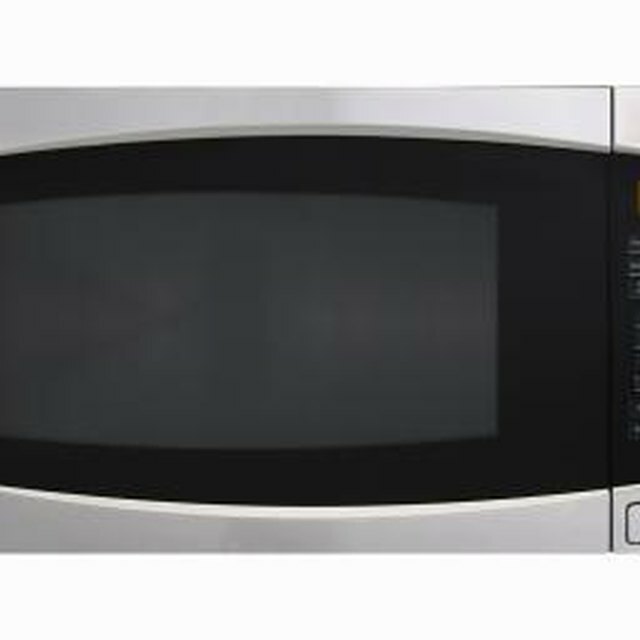 This means the sandwich maker works especially well on fillings that melt because the filling becomes sealed into the sandwich. Grilled cheese may be the classic, but you can try chocolate and banana or chocolate and peanut butter for a sweet treat. 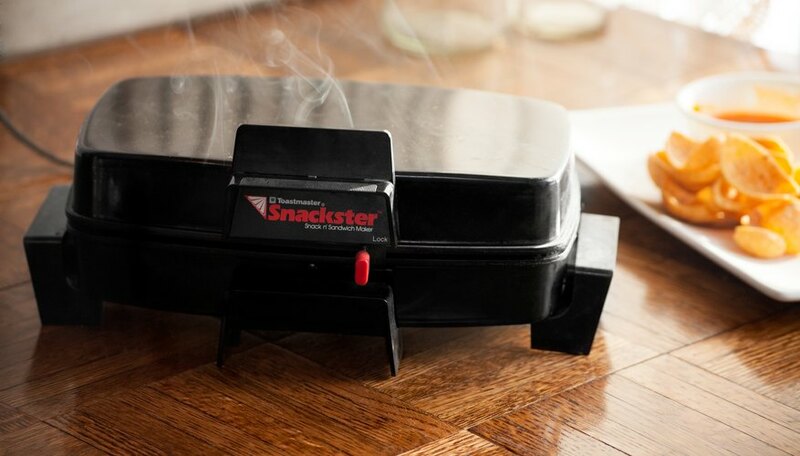 Set the Toastmaster Snackster on a flat surface and plug it into a power source. Unhook the latch on the handle and open the top of the unit. Remove any flammable objects from the area around the unit. 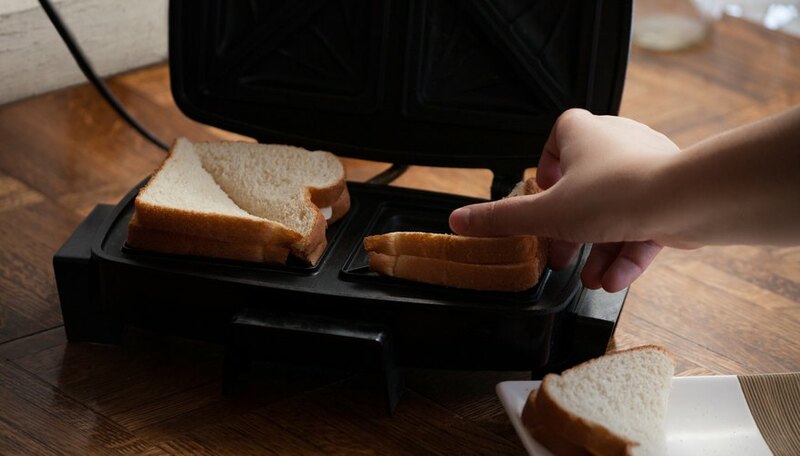 Cut two sandwiches in diagonal halves and place the sandwiches in the fitted indentations on the toaster. Close the door and secure the unit by latching the handle. Press "On" and the green light will indicate the toaster is working. Wait for the red light to indicate the sandwiches have finished toasting. Unhook the latch and remove the sandwiches.